I have not posted anything from Judith K. Moore for awhile. Howev3r, Beverly sent me this, and when I read it, I felt it needed to be posted. Someone out there has a message for them, from this. One point that hit me from this, was that I had a strong Guidance to break an appointment which I had for the weekend of the 14th. All I knew was that I could not be involved with anything that weekend. And then below she mentions how the 7-14-12 was a key day. “The 14th was a particularly intense day,” she said, having to do with a predicted conflict in the Middle East, which was averted (more on that at the end). I also felt somewhat involved in that, or something intense, on the day of the 14th. In my mind, both of these are related. Thank you for all of the support and love over these incredible days in my life personally. I am home and doing very well. I am strong and at peace with Randy’s passing and my life. The visions of Jacob guided me through a journey of magnitude beyond my comprehension. We were all guided in these days to be on the grid and to connect to the deep mysteries awakening the power that was the catalyst to move us beyond the Apocalypse. The Venus Transit truly was the shift point for humanity. I feel it was the zero point of the prophecy of 2012. We are now moving into a time that with the opening of the Seventh Aquarian Door of Light we are fueled with Aquarian Power and truly the power of LOVE is accelerated. Jacob called me to the Holy Land to Jericho and Jerusalem for the Opening of the Lions Gate during the Venus Transit. We were compelled as a soul group from the Master Dimensions of our Consciousness to be on the world grid at that time to trigger a massive surge of power for the sake of altering the nature of the destiny of our planet. The Jericho Peace Conference was attended by 33 souls, each with a directive from Divine Creator to connect in the womb of the world, Jericho. Others were in Gobleki ( Turkey), Rome, Italy, Scotland, Uk, Holland, Belgium , France, Mt. Shasta and all over North America and many other locations. We were like the fingers on the Hand of the God Source as we moved in harmony guided from the very power of the Prophecy of ONE. The Moring [Morning] of the Venus Transit there were 22 Masters at the Lions Gate. Each one of these souls was strongly guided to activate grid points and do the deep inner work in Israel. Randy, my husband, crossed over at 1:00 AM Jerusalem time to be in the Metatronic ascension planes. Many of us saw him. Personally I know that my life will never be the same. Ellen and I were guided to a cave on the Mt. of Temptation in Jericho. There I had a vision of the Initiation of Jesus in the Cave of Hermit the Ancient one of All Wisdom. The sound acoustics are like it was in a sound chamber. I know I have been initiated since 1987 in preparation for this message. I do feel the revelation of this message opens up humanity to a new vision on the level of the Prophecy of One. During the Jacob events I was given a hidden Kabalistic Formula, which was confirmed by a Kabalistic Master. The formula was activated with a soul group on the 5th of June to open the Lions Grid in Jerusalem before the Lions Gate was opened on the 6-6-12. I returned to celebrate Randy’s life and to feel the grief of his passing for two weeks. Then I flew to Ontario to enter retreat at the grace of my Ontario Soul Family. I was given time in retreat in Ontario, where I rested and received deep healing from many healing masters. On the 7-7-12 a soul group opened the Seventh Aquarian Doorway of Light in Pickering Ontario at the Gaia Skye Center of Gina and Peter. The power of that day was astounding, the soul group responded to the inner calling to celebrate this day that brought the Aquarian Light to the World in a new way. I arrived in Montreal for the IIIHS 37th Annual Conference at the University Delta Hotel down town Montreal on the 8th of July. The guidance was so strong; we were to open the Rose Grid in Montreal with the forbidden Kabalistic Formula of Jacob completing the activation of the Lion and the Rose. 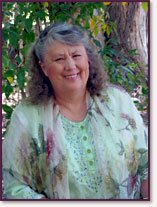 Dawn Bramadat, my Magdala sister and adept in the mysteries of all mysteries, worked with me as she was guided to the sacred sites to open the Rose Grid. Christy P. came and were assisted by two adepts in Montreal. I was deeply honored to meet Ibrahim Karim the internationally renowned founder of Bio Geometry. He confirmed in his presentation the power of the vision of New Jerusalem and Montreal on the world grid. WE worked once again like fingers on the hand of God. I know the alchemy of each of the speakers was like an open library of light as we opened the grid the power of that conference flowed in. Dawn is creating an in depth exploration of the opening of the Rose Grid in Montreal, she will post it on the 131313 web site when she is done. The final activation on 7-15-12 to activate the Rose Garden at the Botanical Gardens with the Aquarian crystals prepared on the 7-7-12. This Rose Garden is watched over by a great lion’s statue from France. The 14th was a particularly intense day. Dawn will share if you read her posting on the web site. I was given a message in Israel that there was plans for a Holy War on 7-14-12 ( the birthday of Sean Sands). I was told the opening of the Lion and The Rose would bring the Aquarian light into the Holy city through the Venus Transit Power and the Holy war would not happen. I did speak to people in Jericho who were very opened minded and aware and ask if they felt a war was planned the answer was yes. I always say, mark these days by the power of what does not happen, with the faith of Job. This prophecy is much bigger than any of us can imagine, we are here now living the Great Prophecy of Peace and there are too many powerful stories to share them all because we are living the Miracle of the Power of the Ascended Christ Principle. Below I attach an article that Dawn sent me yesterday about Israel and the plan for the war that did not happen on the 14th and God willing will not happen at all. Also this, related to your vision for July 14…. President Barack Obama’s National Security Advisor Tom Donilon visited Israel secretly over the weekend in what one Israeli newspaper says was an attempt to convince Israel not to attack Iran’s nuclear facilities. He met with Prime Minister Binyamin Netanyahu, Defense Minister Ehud Barak and National Security AdvisorGen. Yaakov Amidror. Maariv-NRG says Donilon’s visit reflects heightened U.S. concern that Israel intends to attack Iran sometime during the summer or early autumn. That concern has been heightened by the recent failure of talks between western powers and Iran. The News site estimated that the visit was intended to convince Israel not to launch an attack anytime soon. Israel would prefer the U.S. to lead an attack on Iran instead of facing it alone. An Israeli attack could have un-forseen consequences on the volatile Middle East, and a U.S.-led strike is seen as something Arab regimes will accept slightly more easily. In any case, repercussions against Israel are expected.